We’re coming up on Halloween, how could I not create one of my marshmallow critters, Marshmallow Ghosts, in fact, an easy one at that? Halloween is one of my favorite holidays because it’s all about make-believe and having fun. One of the iconic images for Halloween is the ghost. So that was my inspiration for this simple creation. Now let’s go have some fun. Step One – Insert a straw or popsicle stick into a regular size marshmallow. Do a few and set aside. Step Two – Roll out the white fondant as thin as you comfortably can. Cut a circle with your 4-inch cookie cutter. Step Three. To create the eyes and mouth, pinch off a bit of black fondant and roll into tiny balls. Make some of the balls a bit larger. Then flatten the balls with your finger. Step One – Take the straw or popsicle stick with a marshmallow and place a good size dab of icing on top of the marshmallow. Place the round of white fondant on top of the icing and gently push down to adhere it to the marshmallow. 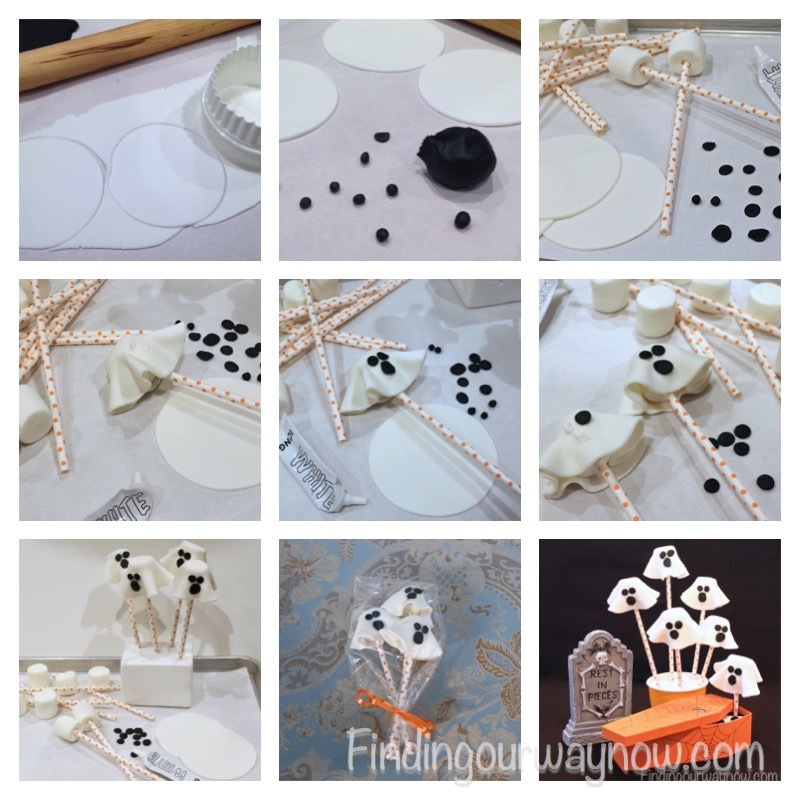 Step Two – Gently push the sides of the white fondant down around the marshmallow to give a skirt-like appearance. Work it a bit until you are satisfied with the shape. Step Three – Place a small dot of white icing on the white fondant skirt where the eyes and mouth would go. Pick out your eyes and mouth and place them on the dots. 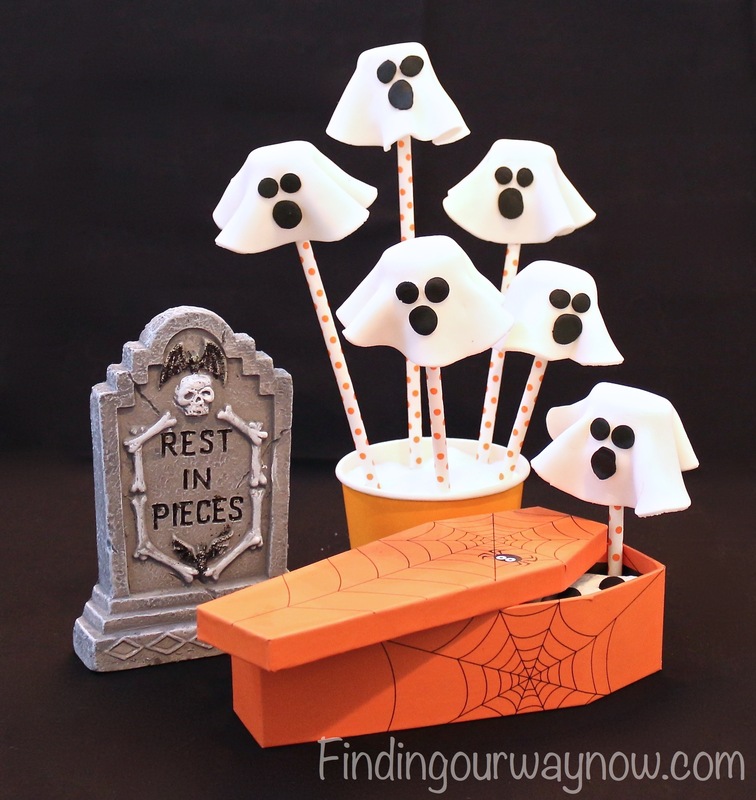 Step Four – Take your completed ghost and push the end of the straw or popsicle stick into the florist foam or Styrofoam. Repeat as many times as your supplies will allow. Notes: I’ve said it many times; I find that using a pasta maker to roll out the fondant gives me a nice thin, consistent finish every time. 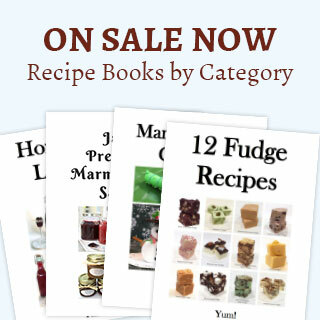 Black fondant can be difficult to achieve when making your own. If you do make your own, use a very good black food coloring that is deep black. I always like to use a sheet pan lined with parchment for easier assembly and cleanup. I always have fun creating these marshmallow critters. 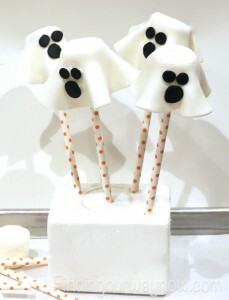 These Marshmallow Ghosts were no exception. As you can imagine, these marshmallow ghosts were great fun to share with my family and friends, especially the ones with small children. 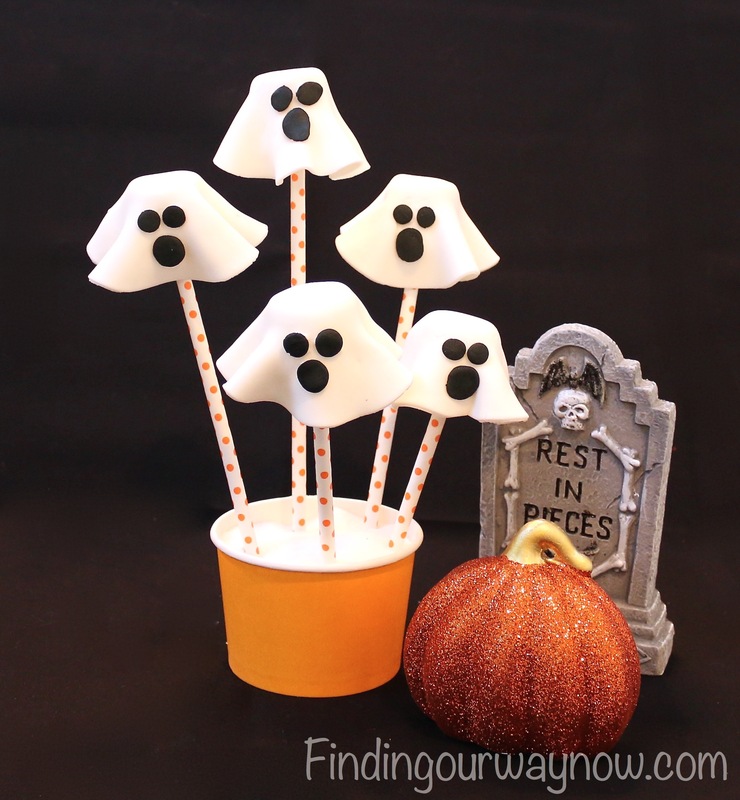 As it is with all my other marshmallow critters, these little guys make a great Halloween project for any size kid. If you enjoyed my Marshmallow Ghosts, check out these other Halloween delights: Marshmallow Halloween Spiders, Halloween Candy Corn Bark Candy, and my Homemade Fondant.